You want to send flowers to someone based in Vienna, Austria and want to be sure that the bouquet is exceptional, the flowers are fresh and tastefully arranged and avoid commissions to a multinational network with no individuality? 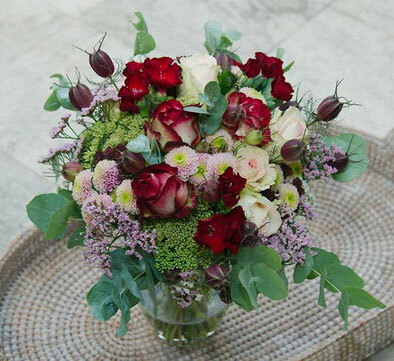 With flower delivery by blumenlieferung-wien.at, a service provided by Flowercompany, one of the most beautiful local flower shops of the city of vienna you will get all of this. Just give us a call - we speak fluently english - or send us an email and tell us what kind of flowers you like to send and the budget you want to spend. We will give you recommendations about seasonal availability and offers and our florists will arrange your individual and perfect bouquet. Below you will find information about delivery costs, operating hours and delivery times. 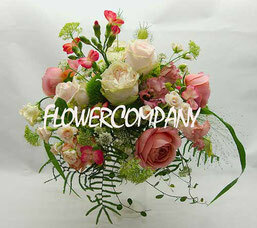 We do not offer a shop-system because our offer of flowers is changing daily and prices vary due seasonal availability. No minimum order requested, no handling or packing fee will be charged. Orders or requests by email at our email address office@flowercompany.at will be handled anytime, for same-day delivery and in urgent cases please give us a call . Delivery times are from Monday through Saturday 10.00 am to 7.00 pm. Other times and delivery on sunday at request, higher rates may apply. We are open on Mothers day and Valentine´s day. For credit card payment we accept Visa and Mastercard , we also accept paypal. Blumenlieferung-wien.at is a service provided by Flowercompany, one of viennas most beautiful flower shops. Visit our website to get more information about our other services for wedding decoration, wedding bouquets, event decoration and our large variety of exceptional indoor and outdoor plants. To see more of our bouquets have a look at the homepage of blumenlieferung-wien.at were you can see examples of our work .